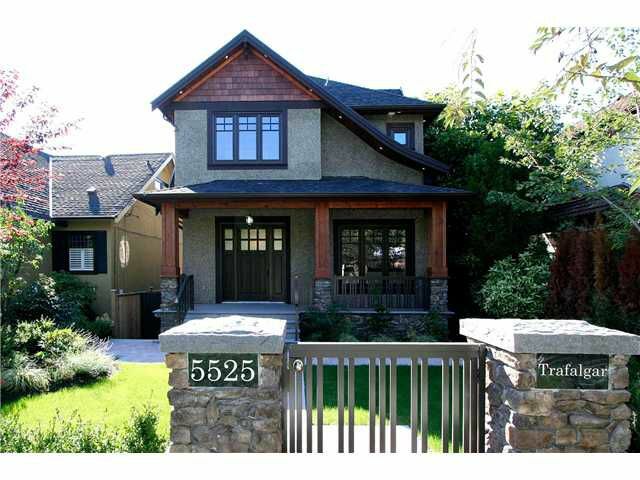 ABSOLUTELY QUALITY HOME BUILT IN MOST PRESTIGIOUS KERRISDALE LOCATION. Steps away from KERRISDALE ELEMENTARY SCHOOL, CLOSE to POINT GREY HIGH SCHOOL, CROFTON & ST. GEORGE'S PRIVATE SCHOOLS, UBC, SHOPPING, RESTAURANTS & TRANSIT.Truly this beautiful simply offers OPEN CONCEPT floor plan with ultimate in luxurious modern living. Approximately 2655 sq.ft. Features 4 bedrooms & den, 5.5 baths open main floor plan gorgeous extensive use of walnut hardwood floor thru-out, large gourmet kitchen, high-end kitchen cabinetry & appliances, granite countertops, air conditioning, HRV, SAUNA, WINE FRIDGE. SECURED fenced yard PARK-LIKE GARDEN backyard. MUST SEE!